Bäder AG company St. Moritz. 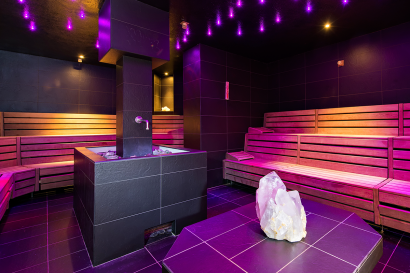 Strengthen relationship with Taveller Made as partner in order to develop guest experience in hotel key ares like Wellness & Spa, sportive & active experinces and culinary highlights. 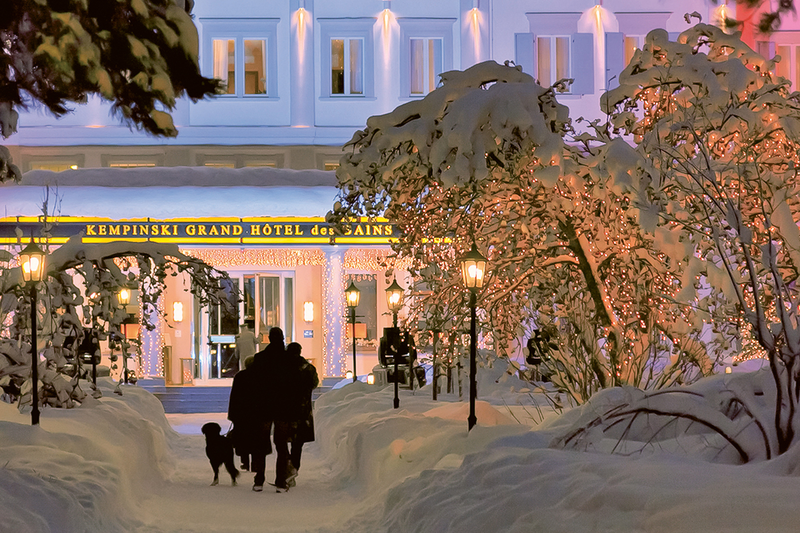 At the centre of St. Moritz Bad, its sheltered location directly at the source of the famed mineral springs, the Grand Hotel des Bains Kempinski St. Moritz is steeped in tradition and can look back on an illustrious past: The hotel was originally built in 1864 as the Grand Hotel des Bains. 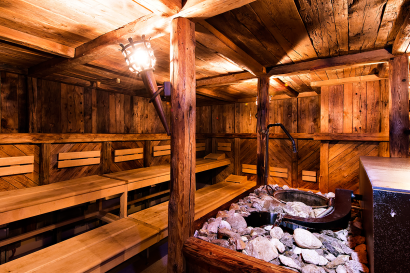 The destination originally became famous for its mineral spring, discovered some 3,000 years ago. The Celts came through the Engadine in 300 – 800 B.C. and one of the most important artifacts remaining from the Bronze Ages is a 3,500 year-old spring catchment basin now on display at the Engadine Museum in St. Moritz. 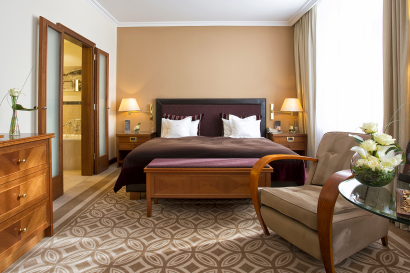 2001 hotel was completely redesigned and renewed & and opened first under Kempinski in 2002. (1) Location: sportive heart of St. Moritz with direct access to the main ski area in St. Moritz. 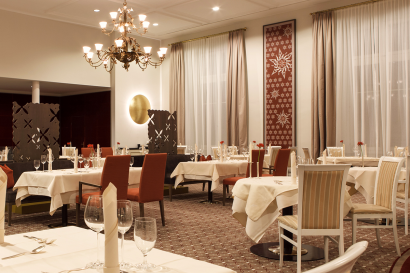 (2) F&B: 4 restaurants, 3 awarded with Gault Millau Points and 1 Michelin Star – Dining Experience. 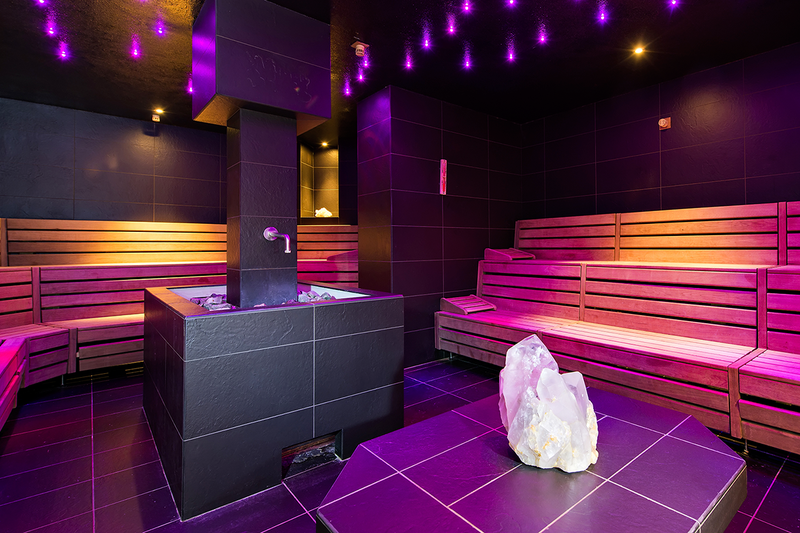 (3) Wellness/Spa: 2800 sqm with treatment rooms, relaxing areas, sauna landscape and indoor pool. 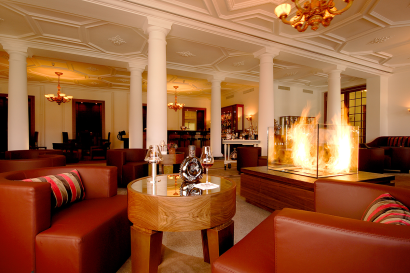 (4) 5 star luxury, just more relaxed: casual, sporty and cozy atmosphere. St. Moritz is located in the Upper Engadine just about in the middle of the triangle formed by Zurich, Milan and Munich. You can easily reach your holiday destination using the Rhätische Bahn railway, the good road network or by air. Engadin Airport has flight connections to the international airports of Zürich, Geneva, Basel, Milan and Munich. Taxi flights are also available to many other national and international airports. Ski in – ski out Resort, the Grand Hotel des Bains Kempinski St. Moritz is the perfect choice for your winter holidays, as well as for the summer season, due to its great location and the destination itself. Skiing, snowboarding, sledging, bob run, ice skating, ice hockey, crosscountry, biking, hiking, boat trips, fishing, golfing, climbing and Alpinism, water sports, equestrian sports. Shopping, gastronomy, relaxation, art & culture, night life. Kempi Kid’s Club from 3 years and older, two floors with daily changing indoor and outdoor programme. Classic Single Room 20 to 24sqm. 1 Queen bed, Mountain View, interactive flat screen, free Wi-Fi Internet access, minibar, safe, desk, bathroom with underfloor heating and bathtub. All rooms and suites are non-smoking rooms. Resort Room 25 to 29sqm. 1 King bed or 2 Twin beds, Mountain View, interactive flat screen, free Wi-Fi Internet access, minibar, safe, desk, bathroom with underfloor heating and bathtub. All rooms and suites are non-smoking rooms. Superior Room 30 to 32sqm. Deluxe Room 33 to 35sqm. 1 King bed or 2 Twin beds, Mountain View, interactive flat screen, free Wi-Fi Internet access, minibar, safe, desk, bathroom with underfloor heating and bathtub, separate W/C. All rooms and suites are non-smoking rooms. Grand Deluxe Room 36 to 39sqm. The Grand Hotel des Bains Kempinski St. Moritz offers also 45 beautiful Suites, from the Classic Junior Suite of 40 to 48sqm, to the luxury Presidential Suites, set out over two level with three kind-size bedroom, full kitchen, lounge area and balcony, along with many other benefits. Experience The Swiss Chalet décor style of the Tower Suite, set out over 3 floors, with 2 bedrooms, separate living room, as well as dining room, lounge and spacious terrace overlooking St. Moritz and its mountains. Cocktails & drinks, high tea (with contemporary inspirations), fine Swiss pastries and the eternal club sandwich classic. The ingredients: International grilled meat, fish and vegetables with a regional focus and the highest quality. The composition: The inspiration is classic, the implementation is modern and the focus is on the product. The atmosphere: Spacious, bright, typical of the country, stylish, family friendly and welcoming. 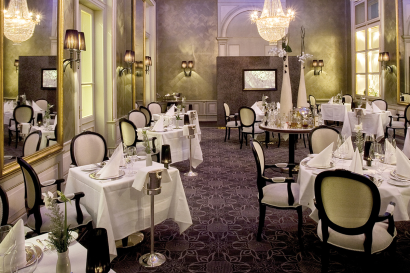 The awards: The breakfast is known to be the best in all of Switzerland. The ingredients: Preferably local, regional, seasonal and Italian. The composition: Only a few carefully selected products that are creative, to the point and accompanied by national and neighbouring wines. The atmosphere: At first sight, it is lush and traditional and at second glance, it is light and modern. For the evening, it is relaxed and cosy. The awards: 15 Gault Millau points. The ingredients: The highest quality available on the Mediterranean and international market. The composition: A play with texture, consistency and flavour – the presentation is a combination of design and avant-garde. The atmosphere: Classically noble and stylish, contemporary and modern. 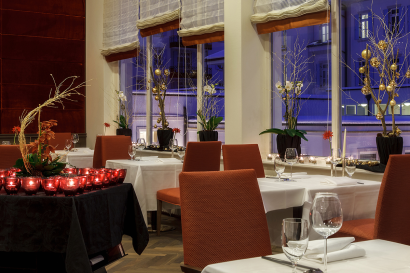 The awards: 1 Michelin star, 17 Gault Millau points; Gourmet Chef: Matthias Schmidberger. 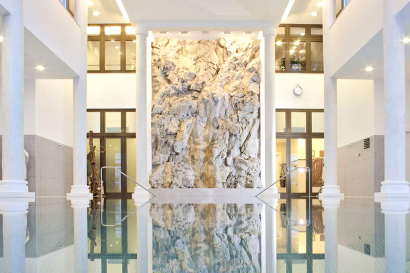 The Kempinski The Spa features four different saunas, a steam bath, a laconium, an indoor pool, Kneipp baths, a gym, a sun terrace and a separate ladies’ spa with relaxation rooms and three different saunas. The care products are made by Valmont, Alpienne, OPI and HydraFacial MD. The Kempinski The Spa also offers a personalised nutrition and training programme by the experienced fitness and nutrition coach Mirko Colombo. 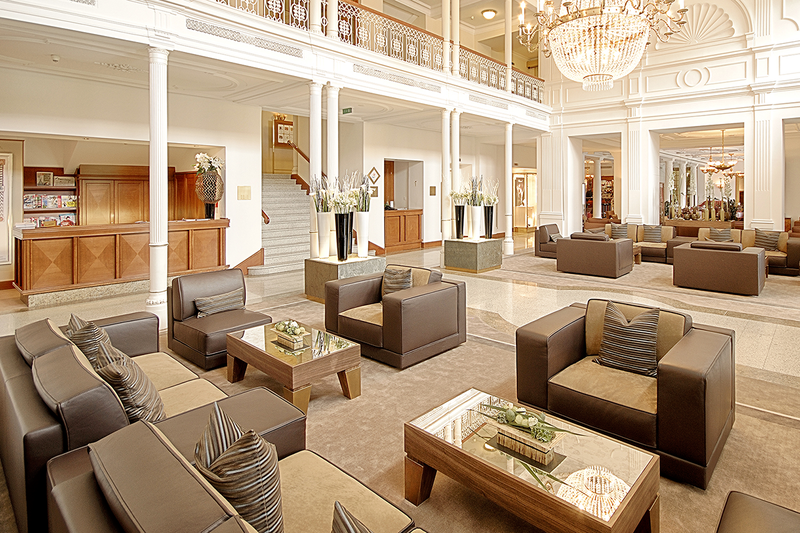 Guests of Grand Hotel des Bains can use six daylight-flooded conference rooms with different capacities. The business centre with two function rooms is located in the historic part of the building, while four other rooms are located in the new building. The meeting rooms in the new building hold 300 people and all rooms are equipped with state-of-the-art technology and conference facilities. The Cigar Lounge, Enoteca and Les Saisons are also available to guests for meetings and celebrations. • Events like Polo World Cup on the Snow, White Turf on the Snow, Gourmet Festival. Summer approx. 150, winter approx. 250.